For public television’s pledge week, WEALTHTRACK is revisiting the more personal side of our portfolios, charitable giving, and analyzing one of the biggest changes in philanthropy. You can see that episode again here. We’ve also added archive episodes that look back at the topic. Is the stock market overvalued? Is the Fed about to change course? Are investors too optimistic? What place if any should gold have in your portfolio? Those are some of the questions Consuelo will ask Morgan Stanley’s David Darst in a wide ranging interview. Darst, the Chief Investment Strategist at Morgan Stanley Wealth Management is a Financial Thought Leader, acknowledged expert on asset allocation and prolific author of investment books and research. He will share some of his most recent pieces with us on WEB EXTRA including “The Cyclical and Secular Outlook for Gold”. Following the recent volatility in the price of gold, and the publication of widely divergent positive and negative views on likely future trends in gold prices, we have prepared a document (below) on the cyclical and secular outlook for gold. If one were to list the smartest guys in any investment room Mohamed and his co-Chief Investment Officer at PIMCO, Bill Gross would be right up there. They are thoughtful, thorough, probing, committed, competitive and intense in every aspect of their professional lives, as is the team they have put together at their world class asset management firm. They never fail to challenge the conventional wisdom and give us new insights and understanding of the world we live and invest in. 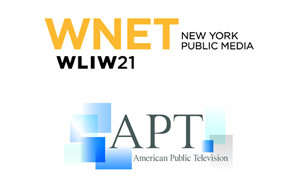 This weekend is the beginning of a two week public television fund raising drive so WEALTHTRACK will be pre-empted in many markets. We will resume our schedule of new programs on June 14th, Father’s Day weekend, with an exclusive interview with Brandywine Global Opportunities Bond Fund’s co-portfolio manager Stephen Smith. Global Opportunities is 5-star rated and has delivered stock market like returns over the last year, 3 years, 5 years and since inception. This week, we are revisiting the more personal side of our portfolios and what many call a uniquely American trait, charitable giving. Two thought leaders in the field will help us understand the major changes that are occurring in philanthropy and help us become more effective givers. Doug Bauer is the Executive Director of the Clark Foundation, a fifth generation family foundation and one of the largest foundations in the country in terms of assets and grants. Doug has spent over twenty years with prominent foundations including as Senior Vice President at Rockefeller Philanthropy Advisors and President of the Goldman Sachs Philanthropy Fund. Jack Lund is the President and CEO of the YMCA of Greater New York, the largest YMCA in the U.S. and the largest youth serving organization in the New York area. Jack has spent 35 years at the YMCA in numerous leadership roles all over the country and internationally, including as CEO of the Milwaukee Y and Chair of the YMCA World Urban Network, a network of Y CEOs from the world’s largest cities. I have had the privilege of working with Jack as a member of the Y board. On WEB EXTRA this week, we’ll also feature a phone interview with Financial Thought Leader, David Darst, Chief Investment Strategist at Morgan Stanley Wealth Management who is going to talk about why he is cautiously bullish on the stock market and his views on gold. As always, if you can’t join us at the appointed hour on your local public television station, you can watch the program on our website as a podcast or streaming video. You can also find the One Investment picks of our guests and my Action Points there. For those of you who would like to see our program 24 hours in advance of the broadcast, you can subscribe to our PREMIUM subscription service on the website. We have received many positive comments about our newly revamped website, which we really appreciate. We want to keep improving it so please send us your comments and suggestions. We have a small but dedicated staff here so the improvements will be gradual, but they will be made! Have a great weekend, and make the week ahead a profitable and a productive one for us all! 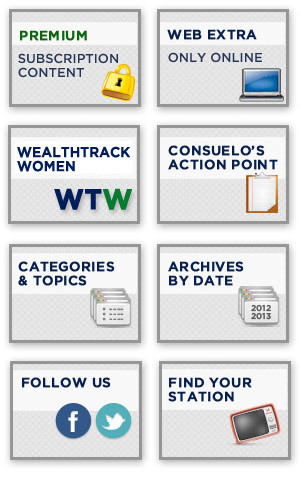 WealthTrack transcripts are now included in WealthTrack Premium subscriptions. You can also purchase and download the transcript separately safely and securely with your credit card or PayPal account. You will need the free Adobe Acrobat Reader (Mac/Win) or Preview (Mac) to view and print the transcript. WealthTrack transcripts are available individually for $4.99.